Single Sign On Authentication (or SSO Authentication) allows you to log in to multiple applications using a single set of credentials. If your administrator has enabled or required SSO for your organization, you can use your company credentials to log in to Box. From the Box log in screen, select Sign in with SSO in the bottom right corner. Enter the email address affiliated with your Box account. You will be redirected to your company's login page. Enter your company credentials in order to gain access to your Box account. Click Continue to be redirected to your company's login page. Enter your company credentials in order to gain access to your Box account. To login to Box using SSO authentication on any mobile device, tap “Use Single Sign On (SSO)” underneath the Log In button. On the next page, enter the email address associated with your Box account. Clicking "Log In" will redirect you to your company or university login page. Enter your company or university credentials to log into Box. A majority of 3rd party applications and our OneCloud partners now support SSO and have a dedicated SSO login button labelled - Use Single Sign On (SSO). If your company has SSO required, you can click on the SSO log in button and then enter your Box specific email address. This should then redirect you to your company login page, where you will need to log in with your company credentials. 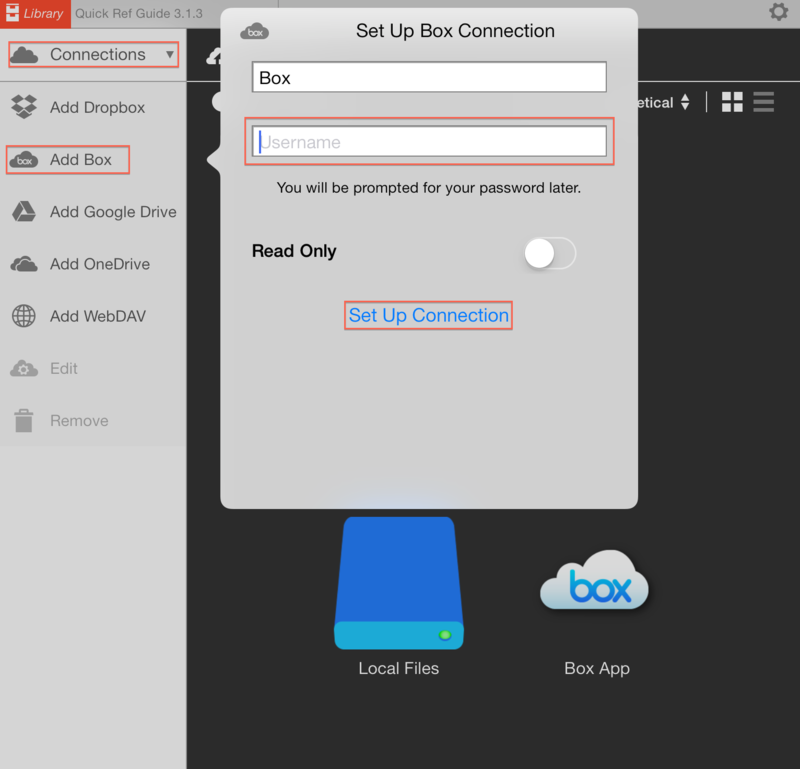 Inside of the application you want to use, locate Box by looking for "App Integrations" or "Server Connections" and select the "Box" connection. Depending on the application, you may be asked to enter your username (email address) before you can see the SSO login button. While the Box API supports SSO login, because of the customization that goes into setting up SSO, occasionally there are apps or SSO configurations that are not optimized for SSO login on mobile. If it does not work for an app, you will need to create a Box-specific password in your account settings to login with. If you are not able to log into your Box account from within a third party application your admin may have disabled this application for the Enterprise from within the Admin Settings. You would have to contact your admin to have them enable the application for the Enterprise from within the Apps tab of the Admin Console.